If I’d listened to what my customers wanted, I’d have given them a faster horse. I’ve heard this reasoning applied as a justification for ignoring user validation for product changes and features. While there is a definite need for visionary ideas to avoid the “Me 2.0!” mindset of blindly emulating other ideas, at some point a customer needs to actually pay for the product. Henry Ford had some amount of ‘modest’ commercial success with his cars, so what’s the problem? Customer Development might have helped him out here. Instead of asking what customers want he might have spent his time figuring out what problems they had: the inconvenience of feeding, stabling, and re-shoeing their horses. Weariness of the bone-jarring discomfort of long journeys on horseback. The desire to get to their destination that little bit faster. You start with a fuzzy problem set that may or may not really bother the user, and gradually smooth out the assumptions and inconsistencies in actual conversation with your potential customers until the problem is more accurately defined. Once this is done, you can look at how to apply technologies or processes to the challenge and then return to the customer again to validate that the solution you’ve designed solves the issue, and is important enough for them to actually pay for it. It may be the easiest it’s ever been to develop online solutions. Did Ford need to apply Customer Development, or was the writing already on the wall that horses were on their way out? Recognizing an opportunity is a completely separate skill. Vision is absolutely necessary to access new markets, but visions are sometimes hallucinations. Running headfirst into a solution before you can validate that the solution fixes a real problem that people are prepared to pay for is wasted energy at best, and self-gratification at worst. 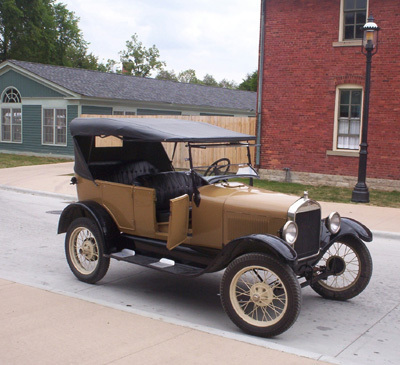 This entry was posted in Customer Development and tagged Customer Development, hallucination, henry ford, model T, vision. Bookmark the permalink. I agree with you that the “faster horses” quote is not a justification for ignoring customer input. It’s a fact that new products are always described in the context of what a prospect is already familiar with. It’s all that they know.